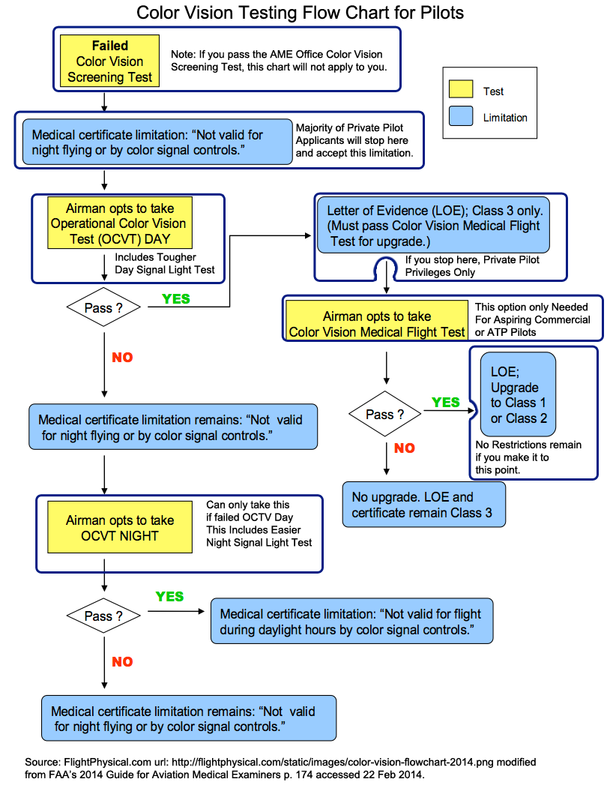 Guidance is compiled and interpreted by professional pilots and physicians at FlightPhysical.com from the 2014 AME Guide pages 178-180, FAA and FDA web data (www.FAA.gov & www.FDA.gov), instructions specified in the Aeronautical Information Manual, Federal Air Surgeon Bulletins from 1999-2015, and 14 CFR Part 61 and Part 67 (the FARs). Red Maddox rod with handle. Horizontal prism bar with graduated prisms beginning with one prism diopter and increasing in power to at least eight prism diopters. Acceptable substitutes: any commercially available visual acuities and heterophoria testing devices. Note: There are specific approved substitute testers for color vision, which may not include some commercially available vision testing machines. For an approved list, See Item 52. Color Vision. Test procedures to be used accompany the instruments. If the Examiner needs specific instructions for use of the horizontal prism bar and red Maddox rod, these may be obtained from a RFS. This page discussed the Heterophoria portion of the Eyes & Vision section of the Fight Physical Examination required of pilots.